Home › Blog › Why Christian Clothing for Children? Why Christian Clothing for Children? What we wear speaks volumes about who we are and who we want to become. From uniforms to formal attire, from our "Sunday best" to how we dress for a job interview, we use our clothes to communicate our values, our intentions, and even our hopes and expectations to the world (and to ourselves). Clothing is powerful, especially in forming personal identity. It's for these reasons that Christian clothing is so important, especially for children. 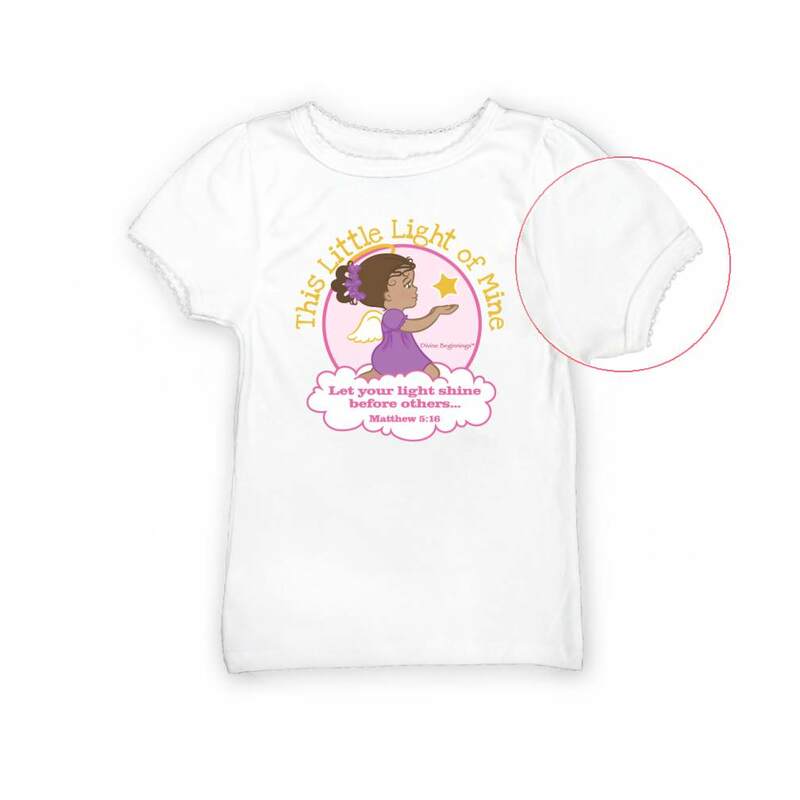 Christian clothing helps children to begin to identify themselves as Christians. At the earliest age, putting on Christian themed images and biblical verses, they begin to identify themselves as Christians; they are heeding Paul's call: 'clothe yourselves with the Lord Jesus Christ' (Rom 13:14). This is why we love our mission here at Divine Beginnings. We are helping parents to form young disciples, and helping young children to give witness to the joy of the Gospel.